Was born in San Pedro de Macoris and still lives there in a house not far from his childhood home. He owns a farm outside the city where he has 15 horses, including two paso finos, the smooth-gaited trail horses imported to the Caribbean generations ago from Spain. Growing up, Cueto was an outfielder. However, as he rose from Little League to higher levels of competition against hungry and talented Dominican players, he wasn't keeping up. He wasn't particularly fast and didn't have much of a bat. His talent was in his arm. He could nail a runner at home from the farthest depths of right field. One day, when he was about to turn 16, a coach told him that if he were going to make it in baseball, it would be from a pitcher's mound. So he learned to pitch...Cueto is the second of five children, four boys and a girl (his sister died several years ago of kidney failure). Says he never worked at anything except baseball. His mother encouraged him to focus on the game and would pull him out of bed in the morning to go workout. She made sure Cueto always had baseball equipment...Underwent Tommy John surgery August 2, 2018. He missed 61 games trying to rehab the injury (a right elbow sprain), however after returning from the injured list his velocity was noticeably down. The surgery was performed by Dr. Neal ElAttrache in Los Angeles. Is expected to miss the majority of the 2019 season. Spent most of the season on the injured list and underwent season-ending Tommy John surgery on August 2...Made just nine starts overall for San Francisco, going 3-2 with a 3.23 ERA (19er, 53.0ip) and a .238 opponents average...his nine starts marked the fewest he's made in a single season over his career...Was one of the best pitchers in the big leagues to start the season, as he led all of MLB with a 0.35 ERA through his first four starts...gave up just one earned run in first 26.0 innings of work...his 0.35 ERA marked the lowest by a Giants' pitcher through their first four starts of a season since Ray Sadecki in 1968 (0.25 ERA)...Became one of seven SF Giants pitchers to hold opponents to one-run-or-fewer in each of his first four starts of a season...According to Elias, Cueto and Mike Krukow (1985) were the only Giants pitchers since 1893 to begin their seasons with four straight starts allowing one run or fewer...In his first start of the season on March 30 at Los Angeles-NL, he threw 7.0-scoreless innings and allowed only one hit with four strikeouts in the Giants' 1-0 victory...was perfect through 6.0 innings before allowing a single to Chris Taylor to start the 7th...Missed nine games from April 10-17 with a left ankle sprain, an injury he suffered while working out in the Giants' gym...missed just one start...Recorded his 16th career double-digit strikeout game on April 17 at Arizona, recording 11 strikeouts in 7.0-scoreless innings...Was placed on the injured list a second time on May 1 with right elbow inflammation...met with Dr. James Andrews on May 7 and was diagnosed with an elbow sprain not significant enough to warrant surgery and he recommended that Cueto strengthen the ligament through rehabilitation...Appeared in two rehab starts with triple-A (June 23 and 29) and tossed 7.2-scoreless innings...Missed 61 games trying to rehab the injury and was reinstated from the injured list July 5...however, after returning from the injured list he gave up 16 runs in 21 innings over four starts, and his velocity was noticeably down, with his fastball sitting in the 86-87 mph range...Underwent season-ending Tommy John surgery on August 2...the surgery was performed by Dr. Neal ElAttrache in Los Angeles...he missed the remainder of the 2018 season and will miss most of 2019...Was transferred to the 60-day injured list on August 10. Posted an 8-8 record with a 4.52 ERA in 25 starts...his 25 starts marked the fewest he's made in a season since 2013 (11 starts)...Went 3-0 with a 3.79 ERA (8er, 19.0ip) and a .233 opponents average over his first three outings...since the Giants franchise moved to San Francisco in 1958, Cueto is one of two Giants pitchers to win his first three starts of a season in consecutive years as he also won his first three starts in 2016 (also: Rick Reuschel in 1988 and 1989)...Dealt with a blister on his middle finger all season...developed an additional blister on the pad of his index finger in late May...Was placed on the disabled list July 15 and missed 45 games with blister issues on his right hand and then suffered a flexor tendon strain in his rehab start with San Jose (A) on July 31...went 2-1 with a 4.26 ERA (15er, 31.2ip) in six starts after coming off the DL Sept. 1...His eight wins marked the second-fewest he's had in a season over his career...he recorded five wins over 11 starts in 2013...Allowed 22 home runs in 147.1 innings pitched...his 1.34 homers allowed per 9.0 innings was the highest average of his career since 2008 (1.50)...Missed the first three weeks of Spring Training to take care of his ill father, Domingo...arrived in Phoenix on March 3 after traveling with his father, who was hospitalized in February with a mini stroke...their arrival was delayed because Domingo needed to obtain a visa... Cueto worked out at the Giants' facility in the Dominican Republic. Went 18-5 (.783) with a 2.79 ERA and five complete games in 32 starts in his first season with SF. Among league leaders he ranked third in innings (219.2), tied for fourth in quality starts (22), fifth in ERA (2.79), sixth in strikeouts (198) and eighth in WHIP (1.09). His five complete games were the most in the NL and the second-most in the Majors behind Chicago-AL's Chris Sale (6)...it marked the most by a Giants' pitcher in a single season since Jason Schmidt had five in 2003. The Giants went 23-9 in his outings and won his final four starts, where he went 4-0 with a 1.78 ERA (7er, 35.1ip). Became the ninth pitcher in Giants history to start and win each of his first three games with the team; the most prominent pitchers who did that were Juan Marichal in 1960, Billy Pierce in 1962, Bill Swift in 1992 and Brad Penny in 2009...Cueto was the first pitcher to start and win each of his first three games in a Giants uniform, including a pair of victories over the Dodgers (Elias). Became the first pitcher in Giants history to start his tenure with the team by winning at least 13 of his first 14 decisions this season...three pitchers started 12-2 with the Giants - Hooks Wiltse (1904), Slick Castleman (1934-35), and Johnny Antonelli (1954) (Elias). Won a career-high 10-consecutive decisions from April 26-July 6, which marked the longest winning streak of any Giants starter in a single season since Jason Schmidt won 12-straight decisions from April 26-July 17, 2004 (Stats, LLC). Posted a first strike percentage of 68.4%, which ranked as the third-highest pct. in the Majors. Averaged 103.1 pitches per start, which ranked as the third-most among National League pitchers. Had a 29.1-consecutive scoreless innings streak at AT&T Park from April 21-May 23…the streak was the second-longest home scoreless streak by a Giants pitcher since the team moved to San Francisco in 1958...Bud Black owns the record with 32.0-straight scoreless innings at home from April 15-May 15, 1991 (Stats, LLC). Was named NL Player of the Week for May 23-29 after going 2-0 over two starts while posting a 0.60 ERA (1er, 15.0ip). Was the starting pitcher for the NL in the All-Star Game at Petco Park...became the eighth pitcher in Giants franchise history to start an All-Star game (ninth time), joining Carl Hubbell (1934), Juan Marichal (1965 and 1967), Vida Blue (1978), Rick Reuschel (1989), Jason Schmidt (2003), Tim Lincecum (2009) and Matt Cain (2012). Made his Giants debut on April 5 at Milwaukee and tossed 7.0 innings while allowing one run on six hits with no walks and four strikeouts... became the first Dominican-born Giant to win a start in nearly 21 years since Sergio Valdez did so on Sept. 21, 1995 vs. Colorado. Made his home debut on April 10 vs. Los AngelesNL…in his first inning at AT&T Park he hit Chase Utley with the game's second pitch, tweaked his back and right knee with a spill behind the plate, and spotted LA with a 5-0 lead…he proceeded to allow one run over his next 6.0 innings to earn the win and became the first Giants pitcher to earn a win after allowing five-or-more runs in the first inning since Ryan Jensen on June 27, 2002 vs. San Diego. Tossed a shutout while striking out 11 to earn the 100th win of his ML career, a 1-0 triumph for the Giants over the Padres on April 26 at AT&T Park...became the first Giants pitcher to throw a 1-0 shutout with at least 10 strikeouts since Jason Schmidt in 2004 (May 18th vs Cubs -- one hit, 13 K). Tossed a complete game May 18 at San Diego and earned the win in the Giants' 2-1 victory...allowed one run on four hits and two walks with eight strikeouts. Earned the victory in the Giants' 1-0 win over the Padres on May 23...tossed a shutout for the secondconsecutive start, allowing just two hits with six strikeouts...it marked his eighth career shutout and his second in 2016. Earned the win in his final start before the All-Star break on July 6 in the Giants' 5-1 victory over the Rockies...surrendered just one run on five hits and one walk with eight strikeouts in 9.0 innings of work...marked his fourth complete game of the season. Surrendered three runs (two home runs) in 1.2 innings during his All-Star Game start July 12 and took the loss...became the first Giants pitcher to take the loss in the AS Game since Shawn Estes in 1997. Tossed his fifth complete game of the season on Sept. 15 against the Cardinals in the Giants' 5-2 win... allowed just two runs on five hits with seven strikeouts en route to the Giants 6-2 victory. Left his start early on Sept. 20 due to a left groin strain he suffered in his previous start at Los AngelesNL...despite exiting in the sixth inning, Cueto earned the win as he tossed 5.1-scoreless innings with six strikeouts in the Giants' 2-0 victory. Missed his second to last start scheduled for Sept. 25 due to a left groin strain he suffered in his previous start at Los Angeles-NL on Sept. 20th. Struck out 11 Rockies on Sept. 29 and improved to 18-5 in his final start of the regular season...since 1950, only two other pitchers have made 30 starts in their first season with a team and had a winning percentage as high as Cueto's: Bob Ojeda went 18-5 for the 1986 Mets, after being acquired in a trade with the Red Sox; and Roger Clemens was 18-4 for the 2004 Astros after signing as a free agent (Elias). Johnny came over to the Royals in a mid-season trade with Cincinnati, which sent left-handed pitcher Brandon Finnegan, John Lamb and Cody Reed to the Reds....Made 13 starts with KC, going 4-7 with a 4.76 ERA with 17 walks and 56 strikeouts in 81.1 innings....Recorded the only complete game shutout by a Royals pitcher last season, firing 9.0 scoreless innings against Detroit on August 10, allowing just four hits...he became the second Royal to throw a shutout in his home debut, joining Eric Rasmussen, who did it on August 6, 1983 in a 4-0 win over the Red Sox... He also became the first Major League pitcher to throw a shutout in both leagues since Cliff Lee did it in 2009 with Philadelphia and Cleveland....Suffered the first five-game losing streak of his career between Aug. 21 and Sept. 13...during that stretch he posted a 9.57 ERA and allowed eight home runs in 26.1 innings (2.73 HR/9.0ip)....Ranked just outside the Major League Top 25 with 19 quality starts....In 14 combined home starts between Kansas City and Cincinnati, Johnny went 6-4 with a 2.96 ERA, holding the opposition to a .220 average at home.... Posted a 7-6 mark and a 2.62 ERA with opponents' batting .196 against him in 19 starts with Cincinnati... Departed the Senior Circuit, ranking fourth in opponents' average (.196), fourth in WHIP (0.96), ninth in innings pitched (130.2), ninth in ERA (2.62) and tied for 11th in strikeouts (120)....Tossed his fifth career shutout on July 7, blanking Washington on two hits (5-0) at Nationals Park. The Reds' Opening Day starter finished second in the National League Cy Young Award voting, 12th in the MVP Award voting and was a finalist for a Players Choice Award as the league's Outstanding Pitcher...was voted by the players to his first NL All-Star team...received the Wilson Defensive Player of the Year Award for his position...for the third time in 4 seasons received the Johnny Vander Meer Award as the Reds' Most Outstanding Pitcher in voting of the local chapter of the BBWAA...also was given the Ernie Lombardi Award as the club's Most Valuable Player, the first Reds pitcher to be named MOP and MVP in the same season since Danny Graves in 2000...became the 24th pitcher in franchise history to win 20 games in a season, the first Reds pitcher with 20 wins since Danny Jackson in 1988 (23-8) and the first Reds righthander since Sammy Ellis (22-10) and Jim Maloney (20-9) both won 20 games in 1965...Cueto was the victim blown saves 3 times...led the National League in starts (tied), innings pitched, strikeouts (tied w/ Wsh's Stephen Strasburg), opponents' batting average (.194) and day ERA (1.52) while ranking second in ERA and T2nd in wins...overall ranked among the league leaders in the Top 4 in 12 statistical categories...became the first Reds pitcher to lead the league in innings pitched since Bronson Arroyo in 2006 (240.2), the first Red to lead the NL or share the lead in strikeouts since Aaron Harang in 2006 (216) and only the third Reds pitcher since 1900 to lead the NL in both innings and strikeouts in the same season (Noodles Hahn in 1901, Bucky Walters in 1939)...since divisional play began in 1969, is only the sixth National League pitcher to produce in a season at least 20 wins, 242 strikeouts and an ERA under 2.30 (Clayton Kershaw 2011, Dwight Gooden 1985, Tom Seaver 1971, Steve Carlton 1972, Bob Gibson 1968&1969)...is 1 of only 2 pitchers in Reds history since 1900 to produce at least 20 wins and 242 strikeouts in a season (Jim Maloney) and 1 of only 3 Reds to produce at least 243.2 innings and 242 strikeouts (Jim Maloney, Mario Soto)...Cueto's 2.25era was the lowest by any Reds qualifying pitcher since Gary Nolan's 1.99 in 1972 and the lowest by a Reds pitcher with at least 33 starts since Dolf Luque's 1.93 mark in 1923...his career-high 242 strikeouts tied Mario Soto (1983) for the fourth-most in franchise history...was named NL Player of the Week for 8/4-8/10, his first career weekly honor, following a 9-2 win at Cle and a 7-2 win vs Mia...became the first Reds pitcher to make 3 straight Opening Day starts since RHP Aaron Harang did it for 5 straight years from 2006-2010 and suffered the 1-0 loss vs StL on Yadier Molina's seventh-inning, solo HR...in 18 starts this season at Great American Ball Park went 13-4, 1.71...in 90 career starts at GABP is 45-21, 3.01...this season went 12-5 in 21 starts following Reds losses...in 25 of his 34 starts allowed 2 runs or fewer...in his 34 apps produced career-high 29 quality starts...over the last 3 seasons is 5-0, 1.46 (37ip, 6er) in the 5 starts he's made in the rubber match of a series...became the first pitcher in Major League history, since 1900, to throw at least 7.0 innings while allowing 5 hits or fewer in each of his first 9 apps of the season...since the earned run became an of?cial statistic (1912 in NL, 1913 in AL), through the first 9 starts of a season no Major League pitcher ever produced an ERA and opponents' BA as low as Cueto's totals (1.25, .135)...from 7/8-8/15 produced a career-high 7-game winning streak that included a 5-start winning streak from 7/26-8/15, which tied his career high (7/8-8/2, 2012)...in 3 straight starts from 4/16-4/27 threw a pair of 3-hitters in 4-0 and 4-1 wins vs the Pirates, followed by 8.0 shutout innings in a 10-inning, 1-0 loss on 4/27 at Atl...was part of a stretch in which he allowed just 1 run in 31 innings over 5 starts (4/11-5/3), including a career-high 21-inning scoreless streak from 4/11-4/22 that was snapped in the second win at Pit on a solo HR by Andrew McCutchen with 1 out in the ninth inning...became the first Reds pitcher to throw consecutive complete games since Mat Latos did it in June 2012...came within 2 outs and McCutchen's HR of becoming the first Reds pitcher to throw consecutive shutouts since Tom Seaver did it in September 1977...in the sixth inning on 4/22 at Pit reached 1,000 innings in his career...became the first pitcher since Tom Browning (1984-89) to record his first 1,000 career innings while pitching for the Reds...in the season finale, a 4-1 win vs Pit, earned his 20th victory by driving in the go-ahead run in the bottom of the eighth inning...Aroldis Chapman in the ninth allowed a hit but then struck out the side, his 12th save of the season for Cueto...made only 4 spring training starts (1-1, 4.61) because of irritation in his right scapula. The Reds' Opening Day starter made just 11 starts around 3 stints on the disabled list with a strained right lat (4/15-5/19, 6/5-6/15, 6/29-9/15)...went 1-0, 2.60 in his first 3 starts of the season before he was disabled on 4/15...went 2-0, 1.80 in 3 starts in May before he was disabled again on 6/5...made 3 more starts in June (1-2, 7.15) and went back on the DL on 6/29...returned on 9/16 and in 2 starts the rest of the season went 1-0, 0.75...on Opening Day earned no decision in the 13-inning, 3-1 loss vs LAA but his 9 strikeouts were the most by a Reds pitcher on Opening Day since Mario Soto had 10k in 1982 vs Cubs...Reds pitchers produced 17 strikeouts total, a club record for Opening Day...started the Wild Card playoff at Pit and suffered the 6-2 loss. The Reds' Opening Day starter finished fourth in the BBWAA's National League Cy Young Award voting and was a finalist for the Players Choice Outstanding Pitcher Award ... finished 30th in the BBWAA's MVP voting ... for the second straight season received the Johnny Vander Meer Award as the club's Most Outstanding Pitcher ... was part of a staff in which 5 pitchers started 161 of the club's 162g (Bronson Arroyo, Homer Bailey, Mat Latos, Mike Leake) ... the Reds became only the eighth team in Major League history to produce 5 pitchers with at least 30 starts each (1977 Dodgers, 1980 A's, 1993 Dodgers, 2003 Mariners, 2005 Cardinals, 2005 Indians, 2006 White Sox) ... the Reds used 6 or fewer starting pitchers in a season for only the fourth time since 1900 (1900, 1942, 1951, 2012) and were the only team in the Major Leagues in 2012 to use as few as 6 starting pitchers ... individually he ranked among the NL leaders in wins (3rd), ERA (3rd), starts (T1st), innings pitched (5th), home ERA (2.79, 9th), road ERA (2.77, 3rd), day ERA (1.99, 2nd), fewest walks per 9ip (2.0, 9th), winning percentage (.679, 10th) and hit batsmen (12, 2nd) ... as a batter, tied Phillies OF Juan Pierre for the National League lead in sacrifice bunts (17) ... established career highs in starts, quality starts (23), wins, innings pitched and strikeouts ... led the staff in wins, starts, quality starts and innings pitched ... his 2.78era was the lowest by a Reds pitcher since Jose Rijo's 2.48 in 1993 ... his 19 wins were the most by a Reds pitcher since LHP Danny Jackson in 1988 (23-8, 2.73) and the most by a Reds RHP since Jack Billingham in 1974 (19-11, 3.94) ... became the first Reds pitcher with at least 19 wins and an ERA below 3.00 since Jackson in '88 and the first righthander since Jim Maloney in 1965 (20-9, 2.54) ... when he earned the 5-2 victory on 8/28 at Ari became the first Reds pitcher to become the Major Leagues' first 17-game winner since Ewell Blackwell in 1947 ... in his first 3 starts after that victory went 0-3, 8.22 but then in his last 3 starts of the year went 2-0, 1.35 ... his bid for a 20-win season fell short when he left his final start at Pit trailing, 3-2 (4-3 win) ... in 12 of his 33 starts allowed 0 or 1 run, in 20-33 starts allowed 2 runs or fewer and in 26-33 starts allowed 3 runs or fewer ... started 5 of the Reds' 12 team shutout wins ... started the Reds' 5-3 win on 9/20 at Chi in which they clinched a Wild Card berth ... the Reds went 22-11 in his 33 starts and scored 125 runs (3.79 r/g) ... from 6/12-7/22 threw 23.0 consecutive scoreless innings at home, the second-longest scoreless streak ever at GABP (Carlos Zambrano, 30ip, 7/29/07-4/10/10) ... had 11 pickoffs, 1 behind Major League leader Clayton Kershaw, and all 5 baserunners attempting to steal second or third were thrown out ... in his 17 starts in day games went 12-2, including an 11-0 start, and ranked second in the National League with a 1.99 day ERA (Kris Medlin, 1.93) ... in his 16 starts at night went 7-7, 3.65 ... his 12 wins in day games were the most by a Reds pitcher in a season since Ken Raffensberger went 12-9 in 1951 ... since 1921, Cueto is the only Reds pitcher to begin a season by winning his first 11 day decisions and the first Major League pitcher to do it since NYY's Andy Pettitte won his first 11 day game decisions in 1996 ... between home runs to Col's Todd Helton in the second inning on 5/25 and SD's Eddy Rodriguez in the third on 8/2, both at Great American Ball Park, made 11 starts and threw 80.0 innings without allowing a homer ... was the second-longest homerless streak in the Major Leagues in 2012 (Josh Beckett, 80.1) and according to Elias Sports Bureau the longest by a Reds pitcher since Bruce Berenyi threw 85.1 homerless innings from 6/19-8/24, 1982 ... Rodriguez' HR on 8/2 also snapped a streak in which Cueto hadn't allowed a home run to a righthanded batter in 169 innings, since Ryan Zimmerman homered in the ninth inning on 8/17/11 at Wsh ... from 7/8-8/2 won 5 straight starts for the first time in his career ... his 4-0 record prior to the 6-2 loss on 5/15 at Atl was the best start of his career ... in the first Opening Day start of his career threw 7.0 shutout innings to earn the 4-0 win vs Mia ... was the first Reds homegrown pitcher to start Opening Day since Brett Tomko in 1999 ... in the 2-1 win on 5/9 at Mil was the starting pitcher in Dusty Baker's 1,500th victory as a Major League manager ... was scratched from a scheduled start on 7/15 vs StL because of a blister on his right index finger but started 2 days later vs Ari and threw 6.0 shutout innings in that 4-0 win ... in Game 1 of the Division Series at SF left the 5-2 victory after 1 batter and 8 pitches with a strained right oblique ... was the fewest number of batters faced by a starting pitcher in a Postseason game in Major League history ... the previous record was held by Wsh's Curly Odgen, who faced 2 batters in Game 7 of the 1924 World Series vs the New York Giants ... prior to Game 4 was replaced on the NLDS roster by Mike Leake, who suffered that night's 8-3 loss. Was voted by the local chapter of the Baseball Writers'Association of America the Johnny Vander Meer Award as the club'sMost Outstanding Pitcher...posted a sterling 2.31era in 24 starts aroundinjuries that began and ended his season...began the year on the 15-day disabled list with irritation in his right biceps/triceps...following 4rehab apps for Louisville (4/16-5/1), made all 24 of his apps for theReds between 5/8-9/14 before he suffered a strained right latissimusdorsi muscle 46 pitches and 3.2 innings into his final start (9/14 vsCubs)...through his final appearance led the Major Leagues in ERA but fell 6.0 innings shy of qualifying forthe official title...Cy Young Award winner Clayton Kershaw of the Dodgers led the NL with a 2.28era...Cuetowas trying to become the first Reds pitcher to lead the NL in ERA since Ed Heusser in 1944 (2.38)...he didpitch enough innings to qualify for the league leaders in ERA in the day (2.01, 1st), complete games (3, T5th)and ERA on the road (2.98, 9th)...Cueto's season ERA never was higher than 2.36...allowed 3 runs or fewerin 21 of his 24 starts...allowed 2 runs or fewer in 13 of his 24 starts...threw 1 shutout and 3 of the staff's 4complete games, a single-season career high...produced 9 wins and 5 times was the victim of blown saves,most on the staff...tied Mike Leake for the team lead with 18 quality starts...from 5/24-7/20 threw 11 straightquality starts, the longest quality start streak by a Reds pitcher since Bronson Arroyo made quality apps inhis final 13 starts of the 2009 season...in his 24 starts threw at least 7.0 innings 14 times, most on the staff,and at least 8.0 innings 4 times...in his 24 starts the Reds went 16-8 and scored 120 runs (5.00 r/g)...overstarts on 8/11 vs Col and 8/17 at Wsh produced a season-best 15.0-inning scoreless streak...on 6/14 at LADearned the 3-2 victory in his 100th career start...at 25 years old became the youngest Reds pitcher to reach100 starts since 23-year-old Don Gullett in 1974...began the season with a 13-inning scoreless streak untilStL's Jon Jay hit a 3-run HR on 5/14 that followed a pair of 1-out Reds errors...made 4 apps in spring trainingbefore the onset of the biceps/triceps injury...was reinstated from the DL on 5/8 and that afternoon at WrigleyField made his season debut by throwing 6+ scoreless innings to earn the 2-0 win. Established career highs in victories (12) and innings pitched (185.2) and tied his career highwith 31 starts...his .632 winning percentage was 10th-best in the National League...led the staff in strikeouts(138)...made 18 quality starts, including QS in 6 of his last 7 apps as the Reds battled for the NL CentralDivision championship...6 times was the victim of blown saves, the second-highest total for any pitcher in theMajor Leagues (Fla's Josh Johnson, 7bs)...the club was shut out in 3 of his 7 losses...in his 31 starts the Redswent 16-15 and scored 146 runs (4.71 r/g)...from 8/13-8/20 was suspended for 7g for his participation in anon-field incident with StL on 8/10 that led to the ejections of both managers and fines for 4 other players...the Reds won all 7g in his absence...in 8 starts after he was reinstated from that suspension went 1-4, 4.47with 6 quality starts...in 9 starts from 4/30-6/12 went 6-0, 4.02 and 3 times was the victim of blown saves...the6-game winning streak was a career high, the longest by a Reds pitcher in 2010 and the longest by a Redspitcher since Paul Wilson won 7 straight decisions from 4/7-5/25, 2004...also had a 5-game winning streakfrom 6/23-8/4 (5-0, 1.55)...received votes for National League Pitcher of the Month for May (5gs, 4-0, 1.59,1sho)...in the 9-0 win on 5/11 at Pit threw a 1-hitter for his first career complete game (0bb, 8k, 102 pitches,67 strikes)...became the first Reds pitcher to throw a 1-hitter since LHP John Smiley did it on 9/22/96/g2 vsStL and the first Reds righthander since Tim Pugh on 9/23/93 at SD...became only the third Reds pitchersince 1900 to throw a shutout while allowing 1 hit or fewer, 0 walks and 8 strikeouts, joining Smiley (9/22/96/g2 vs StL) and RHP Jose Rijo (9/25/93 at Col)...on 5/22 at Cle left after 6.0 innings with a blister on his rightindex finger but didn't miss a start...recorded at least 1 strikeout in eachof first 71 career starts, then twice in his next 6 starts didn't recorda strikeout (6/1 at StL, 6/28 vs Phi)...produced a pair of season-best13.0-inning scoreless streaks (6/23-6/28, 7/19-7/30)...started Game 3of the National League Division Series vs Phi and suffered the 2-0 loss...Phillies starter Cole Hamels threw a 5-hit complete game (0bb, 9k). Ranked second on the staff to Bronson Arroyo in victories (11), starts (30) and innings pitched(171.ip) and second to Aaron Harang in strikeouts (132)...ranked second in the Major Leagues with a team-high 14 hit batsmen (Milwaukee's Dave Bush, 15)...from 8/20-8/31 was on the disabled list with inflammation in his right shoulder...after he came off the DL went 3-1, 3.63 in his final 6 starts...missed a start on 9/17 vs Fla witha throat infection...on 8/10 at StL left his start with a tight left hip flexor but did not miss his next scheduled appearance...had 14 quality starts, including 2 strings of 5 consecutive quality starts (4/22-5/13, 5/24-6/14)...in his 30 starts the Reds went 16-14 and scored 127 runs (4.23 r/g)...once was the victim of a blown save...in 10 of his 30 starts threw at least 7.0 innings and in 19 of his 30 starts threw at least 6.0 innings...contended for a spot on the National League All-Star staff after going 8-4, 2.69 in his first 16 starts of the season but in his last 2 apps prior to the break allowed 13 earned runs in 5.2 innings...in his next 8 starts following that 8-4 start, from 7/6-8/15, he went 0-6, 10.64 until he went on the DL...snapped that losing streak with a 6-3 win on 8/31 vs Pit...in 5 starts from 4/22-5/13 went 4-0, 1.25...the 4-game winning streak was the longest of his career...in each of 4 starts from 4/22-5/8 threw at least 7.0 innings while allowing no more than 1 run, the longest streak of that kind by a Reds pitcher since Tim Belcher had a 4-game stretch from 5/27-6/13, 1992...started the Dominican Republic's second game of the World Baseball Classic and threw 4.2 scoreless innings to earn the 9-0 win vs Panama in the San Juan bracket (4.2 IP, 3 H, 1 BB, 5 K). In his Major League debut went 9-14, 4.81 in 31 starts...led all National League rookie pitchersin strikeouts (158) and ranked among the NL rookie leaders in ERA (8th), starts (31, T1st), wins (9, T2nd),innings pitched (174.0, 4th) and opponents' BA (.264, 6th)...averaged 8.2 strikeouts per 9 innings to rankeighth among all NL pitchers...became the first Reds rookie to make 30 starts since Tom Browning in 1988(38gs) and the first Reds rookie righthander to make 30 starts since Gary Nolan in 1967 (32gs)...produced14 quality apps...in his 31 starts the Reds went 12-19 and scored 118 runs (3.81 r/g)...on 8/24 at Col left hisstart after 3.0 innings with a posterior strain in his right elbow...didn't pitch again until 9/6 but made 4 morestarts to finish the season (1-2, 6.16)...on 4/3 vs Ari made his Major League debut at 22 years, 48 days oldand earned the 3-2 victory (7ip, 1h, 1er, 0bb, 10k)...became the first pitcher in modern Major League historyto debut with at least 10 strikeouts and 0 walks, the first Reds pitcher since 1900 to record 10 strikeouts in hisML debut and only the third pitcher to win his ML debut while allowing 1 hit and recording at least 10 strikeouts(Steve Woodard in 1997, Juan Marichal in 1960)...retired his first 15 batters and allowed only 1 baserunneroverall, Justin Upton homered leading off the sixth...in his second start, on 4/8 at Mil, had 8 strikeouts withouta walk in 6.1 innings...became the first pitcher since 1900 to record as many as 18 strikeouts without a walkin his first 2 career starts...threw 16.0 innings and recorded 22 strikeouts before issuing his first career walk,to Pit's Nate McLouth on 4/13 in his third start...on 6/11 vs StL issued 8 walks, the most by a Reds pitchersince LHP Steve Avery had 9 walks in 7.0 innings on 6/29/99 vs Ari and the most by a Reds righthandersince Bruce Berenyi had 8 walks in 6.2 innings on 4/17/82 at SF...in the 18-inning, 12-9 loss on 5/25 at SDwas the only player on the Reds' roster who didn't appear because he was scheduled to pitch the next game2 days later...on 5/11 at NYM started for the Reds in their final game at Shea Stadium and suffered the 8-3loss...on 5/16 vs Cle took a no-hitter and a 3-0 lead into the sixth inning but then allowed leadoff back-to-backHR to Casey Blake and pinch-hitter Travis Hafner and another solo homer to Johnny Peralta 1 out later...asa batter produced 2 hits, including an RBI-single off Doug Waechter on 6/6 at Fla and a bunt single off CCSabathia on 9/20 vs Mil...was 1 of 10 Reds players to make his Major League debut, joining IF Paul Janish,OF Jay Bruce, LHP Daniel Ray Herrera, RHP Daryl Thompson, IF Adam Rosales, OF Chris Dickerson, RHPRamon Ramirez, C/IF/OF Wilkin Castillo and RHP Josh Roenicke...was 1 of 5 non-roster invitees to makethe Opening Day roster (Paul Bako, Mike Lincoln, Kent Mercker, Corey Patterson)...during spring trainingwore uniform number 77...entered the season rated by Baseball America as the fourth-best prospect in theorganization and the 34th-best prospect in baseball...made 1 regular season start for Aguilas in the DominicanWinter League before joining that team's staff for the playoffs. For the second straight season was named the organization's Minor League Pitcher of theYear...in 28 starts at 3 different levels combined to go 12-9, 3.07 with 170 strikeouts in 161.1 innings...werehis first stints at Class AA and AAA...led all Reds minor leaguers in ERA and strikeouts and ranked third invictories...finished the season rated by Baseball America as the fourth-best prospect in the Southern Leagueand the fifth-best prospect in the Florida State League...was selected to play in the Florida State League All-Star Game...was SL Pitcher of the Week for 6/25-7/1 and FSL Pitcher of the Week for 5/28-6/3...in BaseballAmerica's post-season tools survey, his control and slider were rated the best in the organization....followingthe season pitched for Aguilas in the Dominican Winter League (6gs, 4-1, 2.84, 31.2ip, 31h, 7bb, 37k). Was the organization's Minor League Pitcher of the Year after finishing 15-3, 3.00 in 26 starts at ClassA Dayton and Sarasota...led all Reds minor leaguers with 15 wins and finished second in the organizationwith 143 strikeouts...led the Midwest League with 2 shutouts...was the East Division's starting pitcher in theMidwest League All-Star Game (1ip, 3h, 1r, 1k)...was named Reds Minor League Pitcher of the Month for April(4gs, 2-1, 3.15) and May (6gs, 3-0, 2.45)...from 5/13-5/30 pitched 21 consecutive scoreless innings...on 5/13,in a rain-shortened 6-0 win at Wisconsin, pitched the first no-hitter in Dayton franchise history (5ip, 2bb, 8k)...in his 2 starts following that no-hitter went 2-0 and allowed just 3 hits over 14.0 scoreless innings (1cg, 14k,0bb)...on 6/27 was promoted to Class A Sarasota...in his final 5 starts with Sarasota went 5-0, 0.30...followingthe season was rated by Baseball America as the 12th-best prospect in the Midwest League and 14th-bestprospect in the Florida State League...played for Cibaenas in the Dominican Winter League. Spent most of the season with the Rookie GCL Reds but also made 2 apps with Class A Sarasota. How many fish are on the floor of Johnny Cueto's kitchen? 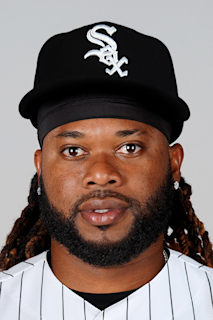 February 13, 2019 San Francisco Giants placed RHP Johnny Cueto on the 60-day injured list. October 29, 2018 San Francisco Giants activated RHP Johnny Cueto from the 60-day disabled list. August 10, 2018 San Francisco Giants transferred RHP Johnny Cueto from the 10-day disabled list to the 60-day disabled list. Right elbow strain. July 30, 2018 San Francisco Giants placed RHP Johnny Cueto on the 10-day disabled list retroactive to July 29, 2018. Right elbow strain. July 5, 2018 San Francisco Giants activated RHP Johnny Cueto from the 60-day disabled list. June 23, 2018 San Francisco Giants sent RHP Johnny Cueto on a rehab assignment to Sacramento River Cats. April 17, 2018 San Francisco Giants activated RHP Johnny Cueto from the 10-day disabled list. April 10, 2018 San Francisco Giants placed RHP Johnny Cueto on the 10-day disabled list. Left ankle sprain. April 10, 2018 San Francisco Giants placed RHP Johnny Cueto on the 10-day disabled list retroactive to April 7, 2018. Left ankle sprain. September 1, 2017 San Francisco Giants activated RHP Johnny Cueto from the 10-day disabled list. August 27, 2017 San Francisco Giants sent RHP Johnny Cueto on a rehab assignment to San Jose Giants. August 22, 2017 San Francisco Giants sent RHP Johnny Cueto on a rehab assignment to Sacramento River Cats. July 31, 2017 San Francisco Giants sent RHP Johnny Cueto on a rehab assignment to San Jose Giants. July 15, 2017 San Francisco Giants placed RHP Johnny Cueto on the 10-day disabled list. Blisters. December 16, 2015 San Francisco Giants signed free agent RHP Johnny Cueto. November 2, 2015 RHP Johnny Cueto elected free agency. July 28, 2015 Kansas City Royals activated RHP Johnny Cueto. July 26, 2015 Cincinnati Reds traded RHP Johnny Cueto and cash to Kansas City Royals for LHP Brandon Finnegan, LHP Cody Reed and LHP John Lamb. September 16, 2013 Cincinnati Reds activated RHP Johnny Cueto from the 60-day disabled list. August 22, 2013 Cincinnati Reds transferred RHP Johnny Cueto from the 15-day disabled list to the 60-day disabled list. Tightness in his right lat. June 29, 2013 Cincinnati Reds placed RHP Johnny Cueto on the 15-day disabled list. Tightness in his right lat. June 16, 2013 Cincinnati Reds activated RHP Johnny Cueto from the 15-day disabled list. June 5, 2013 Cincinnati Reds placed RHP Johnny Cueto on the 15-day disabled list retroactive to June 1, 2013. Strained right shoulder. May 20, 2013 Cincinnati Reds activated RHP Johnny Cueto from the 15-day disabled list. May 9, 2013 Cincinnati Reds sent RHP Johnny Cueto on a rehab assignment to Dayton Dragons. April 15, 2013 Cincinnati Reds placed RHP Johnny Cueto on the 15-day disabled list retroactive to April 14, 2013. Strained right lat. October 15, 2012 Cincinnati Reds activated RHP Johnny Cueto. May 8, 2011 Cincinnati Reds activated RHP Johnny Cueto from the 15-day disabled list. April 16, 2011 sent RHP Johnny Cueto on a rehab assignment to Louisville Bats. March 30, 2011 Cincinnati Reds placed RHP Johnny Cueto on the 15-day disabled list retroactive to March 22, 2011. Irritation in his right biceps/triceps. August 31, 2009 Cincinnati Reds activated RHP Johnny Cueto from the 15-day disabled list. August 20, 2009 Cincinnati Reds placed RHP Johnny Cueto on the 15-day disabled list retroactive to August 16, 2009. Right shoulder inflammation.